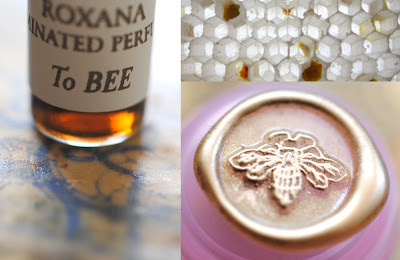 Thanks to Patty, Tom has a little review and giveaway of the new To Bee over at Perfume Posse. Please head on over to enter for your chance to win. If you are one of the few who has received the fragrance and are inspired, please add your impressions to the comments at the Perfume Posse blog post. I've created a simple sampler which includes both the solid and the liquid To Bee natural botanical perfume.